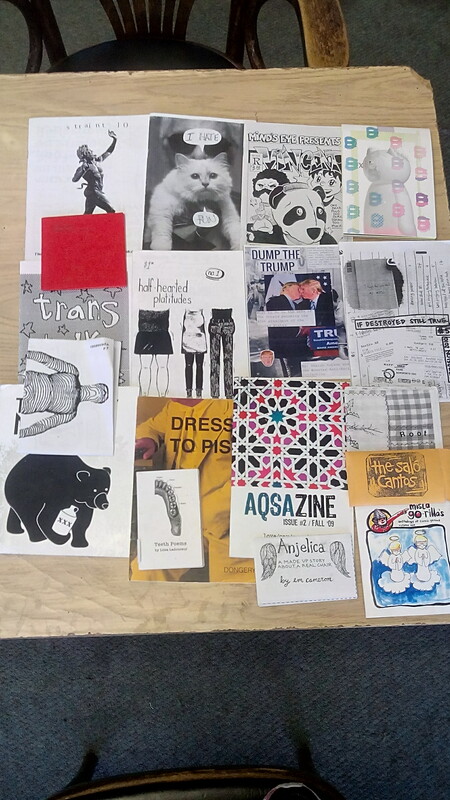 Wanna show your local zine library some love? We’d love to see at our fundraiser taking place at Glad Day Bookstore on Saturday 4 August from 6-9PM. We’ll have a zine making station, artists, music, a raffle, good vibes, and good times. We’ll also be unveiling a ~secret~ project we’ve been hard at work on to improve the library – and we can’t wait to share it with you! More details to be revealed soon. In the meantime, put this in your calendar. 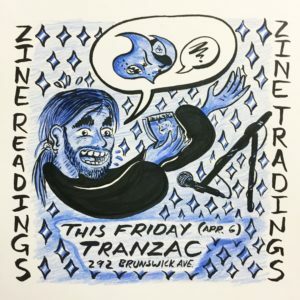 Help the TZL keep zine culture alive! 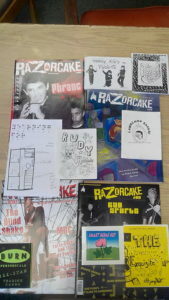 The TZL is trying something a little different and tabling at the PUNK ROCK FLEA MARKET at Lee’s Palace in Toronto. We’ll be there spreading the news about the library and all we do among a variety of wicked DIY crafts. Come by and say hi! The Punk Rock Flea Market is free(!) and open from 11AM-5PM. We’ll still have staffed hours today, and Lee’s Palace is just around the corner from the library – why not make Sunday a TZL double feature and check out both? Support yr local DIY punk artisans! Unfortunately, we will be closed on Sunday, April 15th during our usual staffed hours time. 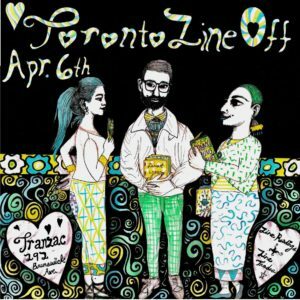 More opportunity to dig up those materials to return, dream up your own projects, or dive into that zine you just read again. We’re looking forward to seeing you on Tuesday, April 17th during our next staffed hours time slot! 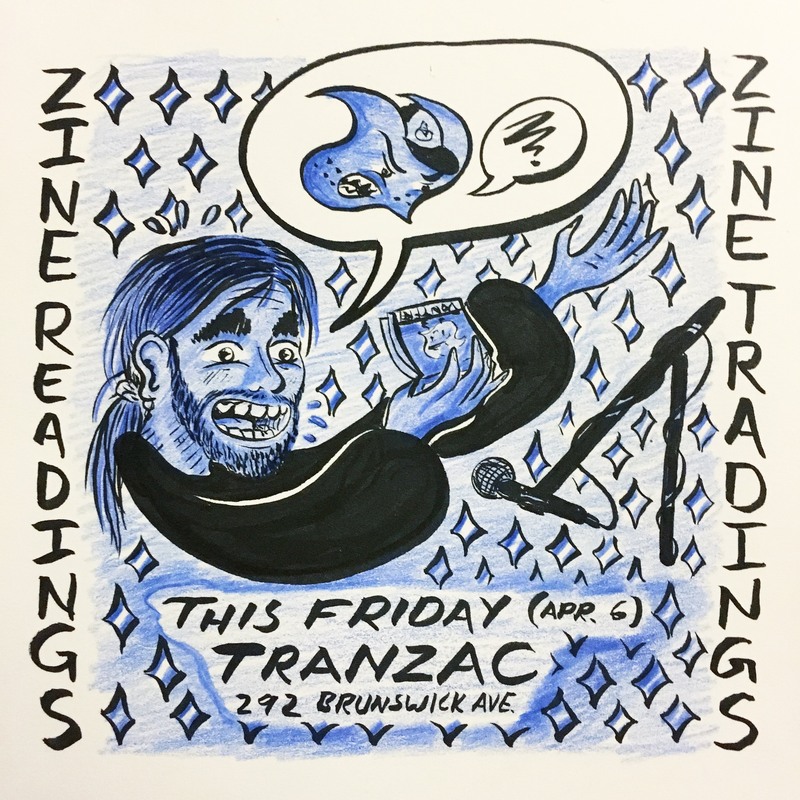 If you like, bring 15-25 copies (or more) of a recent zine you have made to trade with other zinesters 🙂 There will be a small open mike as well— and a few of us here at the TZL are currently trying to work up the courage to participate. Best of all, this is a free event! Apologies for any inconvenience but there will be no staffed hours tonight. 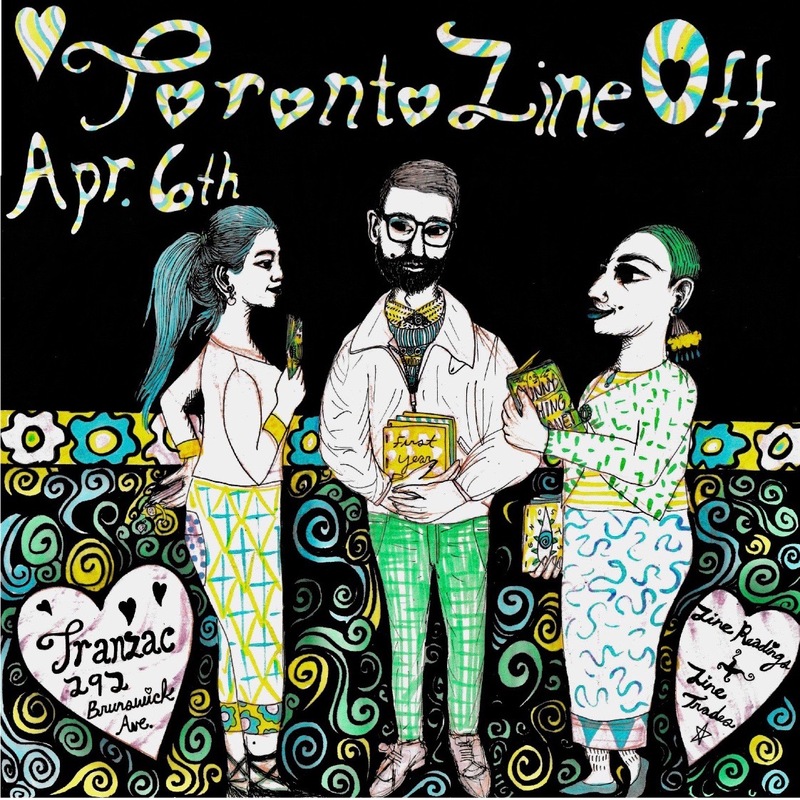 We recommend you check out the 10th annual OCAD U Zine Fair, going on tonight March 14th until tomorrow March 15th, 11am – 6pm, in the Main lobby of 100 McCaul. We will be there until 6—come say hi! 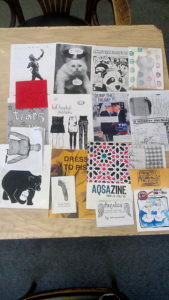 The Toronto Zine Library would like to wish you a safe and enjoyable holiday season full of zine reading. We will be closed between the December 24 to January 2, 2018. Looking forward to seeing you all in the new year! Stay tuned for exciting plans.